ANDREW CRAIG RECEIVES FEEFO GOLD TRUSTED SERVICE AWARD 2019 We are looking for a Land and New Homes Sales Negotiator We are looking for a Sales Negotiator for our Contact Centre Local Agent Selected to Join National Land and New Homes Network We are looking for a Mortgage Administrator South Tyneside Council's call for Sites Low Fell Scooter Club Easter Egg Ride Out You'll LOVE £10,000 Cashback! We are looking for a Sales Negotiator for our Gosforth Branch House For Sale with a Guide Price of £1 sells for... Help to Sell at The Courtyard We are proud to support Cash For Kids Landlord Tax Clinic with Martin Wardle Chartered Tax Accountant 10 Autumn Cleaning Tips Andrew Craig has Confidence in Property Market post Brexit vote Want to know what your Home is worth in under 60 seconds? The re-introduction of the 100 per cent Mortgage We are looking for a Sales Advisor / Customer Service Representative Andrew Craig Careers - We are looking for a Sales Valuer for our Low Fell Branch New Gosforth Branch Now Open! New Year, New Home Event Landlords - Urgent Action Required How can you encourage people to buy your home? Why Christmas is the Best Time to Market Your Property New rules regarding smoke and carbon monoxide alarms Our New Site Is Launched! From next month, landlords who do not comply with the Right to Rent scheme will face a range of possible penalties, including up to five years in prison. 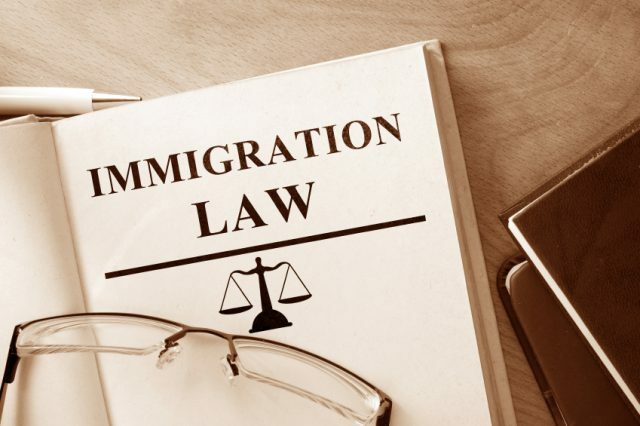 The Home Office recently announced a number of changes under the Immigration Act 2016, which come into effect from December 2016, including making a failure to meet Right to Rent requirements a criminal offence. Right to Rent was introduced across England on 1st February 2016 and requires landlords or their letting agents to make adequate immigration checks before letting a property. If they do not, they can be liable for a fine of up to £3,000. But the new provisions set out by the Home Office have created four new criminal offences that extend the potential punishments to include a fine, up to five years in prison or both. Some landlords could even receive a fine, a custodial sentence and further sanctions for persistent breaches or failure to take steps to remove illegal migrants from a property under the Proceeds of Crime Act. Under the new provisions, it will also be easier to evict illegal migrant tenants. At present, if a landlord finds that an existing tenant is an illegal migrant, they cannot evict them from the property. The new provisions will enable landlords to evict illegal migrant tenants more easily, and in some circumstances, without a court order. Landlords will obtain a notice issued by the Home Office, which confirms that the tenant is disqualified from renting in the UK as a result of their immigration status. On receipt of this, the landlord will be expected to take action to ensure that the illegal migrant leaves the property. However, the Act also offers a defence against the offences for landlords who have taken reasonable steps within a reasonable timeframe in seeking to terminate a tenancy involving an illegal migrant. The Immigration Minister, James Brokenshire, comments on the new provisions: “We are clear that illegal immigrants should not be able to access or remain in private rented accommodation, preventing lawful residents from finding a home. “We know the vast majority of landlords are diligent in their responsibilities when it comes to their tenants, and we want to help them to be able to evict illegal immigrants more easily. The Managing Director of the Association of Residential Letting Agents (ARLA), David Cox, also responds to the announcement: “We are pleased to have a date for implementation; this goes some way towards addressing the issues revealed by Right to Rent checks since their implementation earlier in the year. If these measures prove to be effective in tackling rogue landlords who offer overcrowded and poor quality housing, it will be positive.